How is it possible that it’s been 25 years since we first saw Belle & Beast on the big screen?! 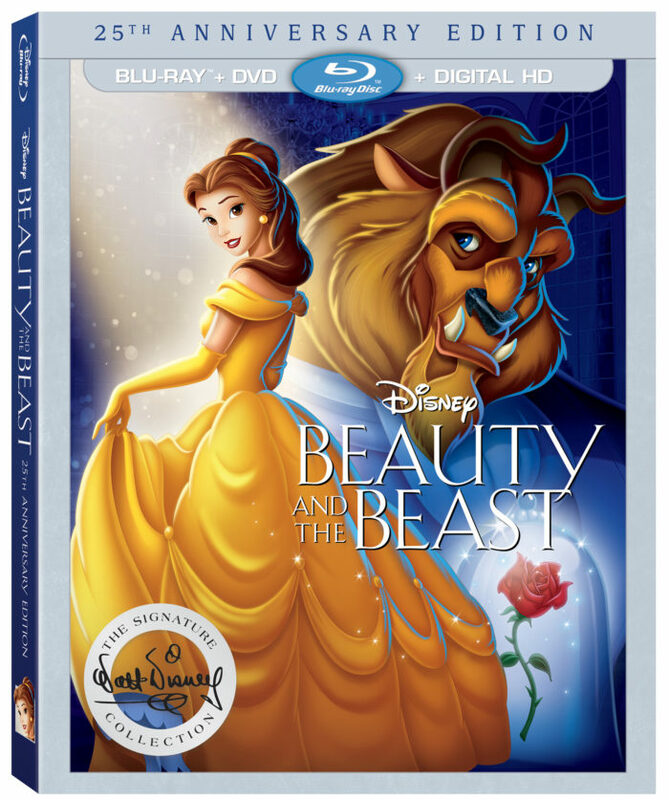 Disney’s beloved classic is now in stores again with the release of Beauty and the Beast The 25th Anniversary Edition. To celebrate, we’ve rounded up some of the best Beauty & the Beast themed fun foods – perfect for a family movie night or Beauty and the Beast party! Aren’t those all so fun?! Any of these would be SO perfect for a themed family movie night! So, be sure to purchase you copy of Beauty and the Beast The 25th Anniversary Edition (affiliate link) and then make something fun for a family movie night! Menken & Friends: 25 Years of Musical Inspiration – Get a front-row seat for an intimate discussion between legendary music composers from classic and future Disney films, including Alan Menken (“Beauty and theBeast,” “Aladdin”), Stephen Schwartz (“The Hunchback of Notre Dame,” “Pocahontas”), Kristen Anderson-Lopez (“Frozen,” Disney’s upcoming “Gigantic”), Robert Lopez (“Frozen,” Disney’s upcoming “Gigantic”) and Lin-Manuel Miranda (Disney’s upcoming “Moana”). Discover how the composers are personally connected, how they first experienced “Beauty and the Beast” and how they find inspiration for their own films. And watch as they pay tribute to the film’s award-winning music score and the man who has inspired them all—Alan Menken. #1074: Walt, Fairy Tales & Beauty and the Beast – Long before “Beauty and the Beast” became the instant classic we know and love, Walt Disney made two attempts—between the 1930s and 1950s—to adapt the famous fairy tale into an animated film. Discover what Walt and his team was dreaming up through Walt’s actual voice recordings, archived artwork, story notes, and learn why the project was sidelined for decades. Always Belle – The original voice of Belle, Paige O’Hara, reminisces about earning the role of the beautiful bookworm in “Beauty and the Beast” and recalls how the iconic character changed her life and continues to inspire fans both young and old. The Recording Sessions – Go in the recording booth with the cast of Beauty and the Beast and see what went into adding voices to the characters and the lines we know and love. 25 Fun Facts About Beauty and the Beast – Disney Channel’s Gus Kamp and Kayla Maisonet host this entertaining countdown featuring little-known fun facts, anecdotes and hidden Easter Eggs (references to Disney animated films and characters) from one of the most cherished animated films of all time. “Beauty and The Beast” Sneak Peek – An exciting first look into the live-action re-telling of “Beauty and the Beast,” which refashions the classic characters from the tale as old as time for a contemporary audience, staying true to the original music while updating the score with several new songs. We LOVE the 25 Fun Facts and the live-action “Beauty and The Beast” sneak peek! So excited for that version to come out in spring of 2017!!! I wanted foods from the movie.